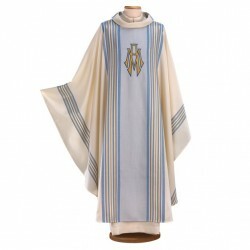 Wool and lurex hand-embroidered chasuble. 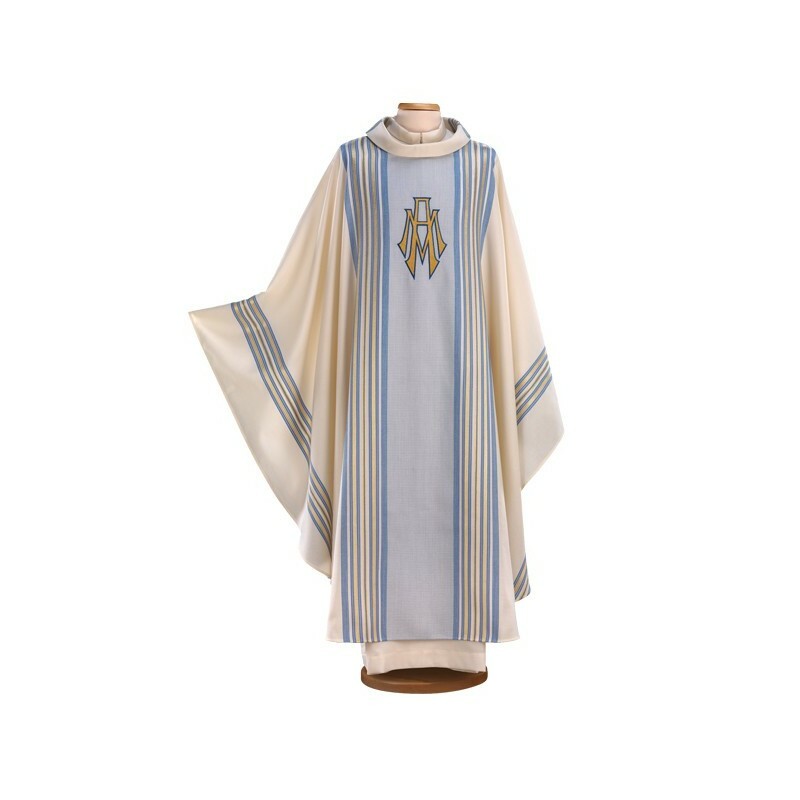 Marian chasuble of rustic woven with machine embroideries. L. cm. 180, H. cm. 132. Made in Italy. The production starts from the meticulous choice of the woven, from the wool to the silk; from the drawings wich don’t leave the classical tradition to the refinement of the embroideries, which are made with exclusive spuns and by skilled embroiderers.